I have just updated the firmware on one of your IPPTZ mini cameras. I now have the option for MJPEG on the main and sub stream. Is there an HTTP URL string that I can use for viewing the MJPEG stream on the sub stream? In the video option then encode mode you can change the camera to Mjpeg. Keep in mind this is a compression type. Meaning that the camera will stay at that compression type. There is a big jump in bandwidth needed as those type of files are huge in comparison. Sub-stream is meant to be low bandwidth and resolution for remote viewing. You can change the compression on the extra stream but your bandwidth requirements go up. From the factory it is recommended to set bandwidth at 8mps or higher. On the extra stream you cannot set it that high, so likely you have viewing issues. 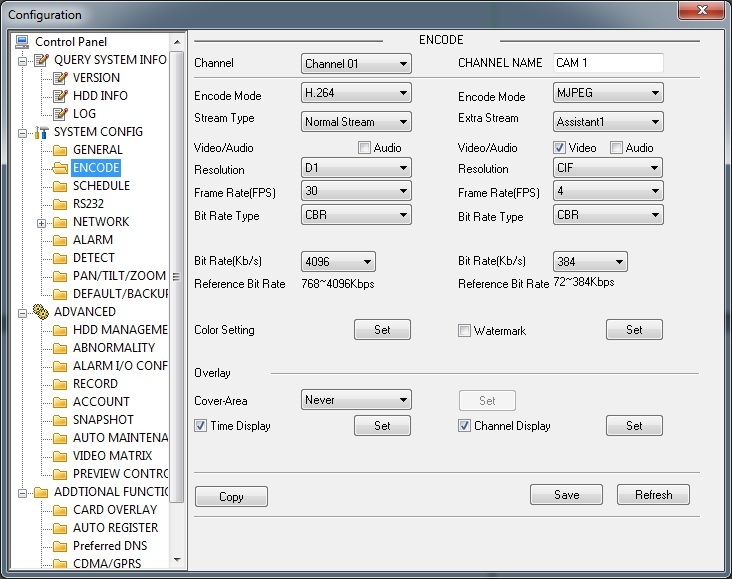 Set your Encode settings to this. Good Luck. This may not work.